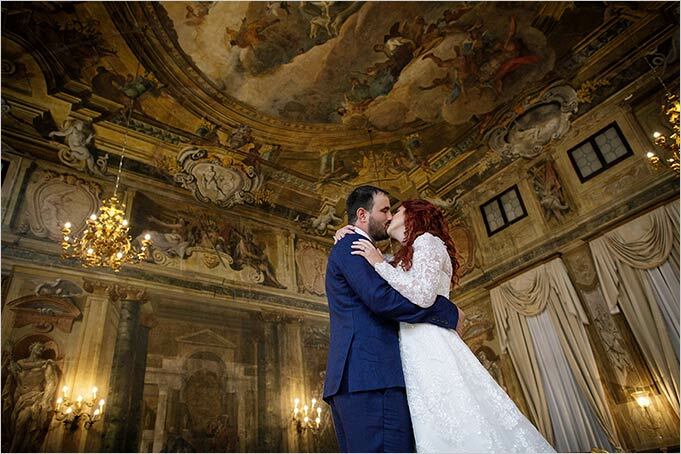 An elope in Venice can be always enchanting and surprising! 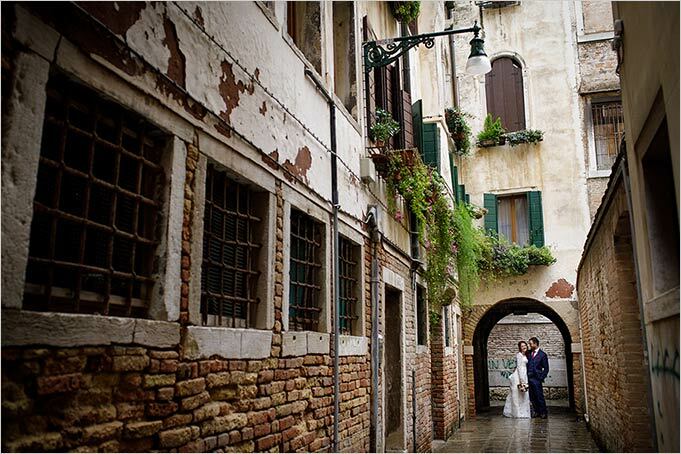 Venice always able to show its unbelievable charm. 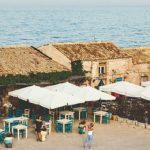 Summertime is lively and vibrant with the sunlight reflecting on ancient building facades. 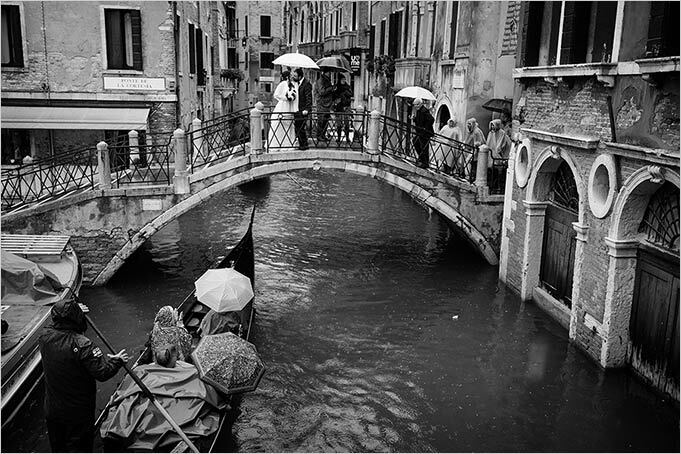 During some winter gloomy days though Venice has that special atmosphere of some decadent literary masterpieces of the late 19th century. 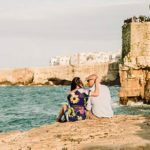 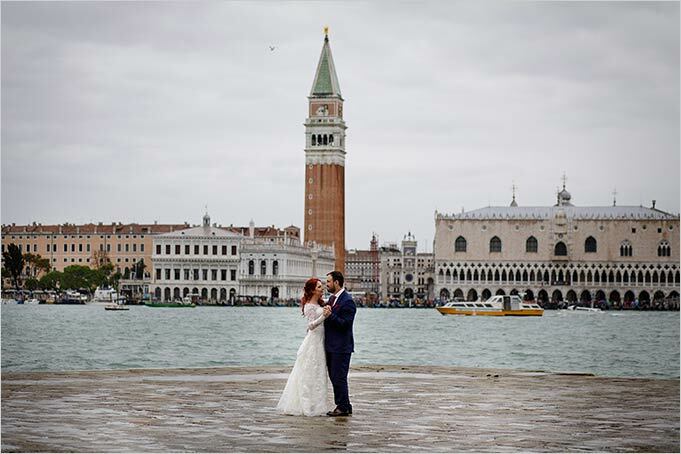 Meghan and Ryan chose Venice for their romantic elopement in Italy. 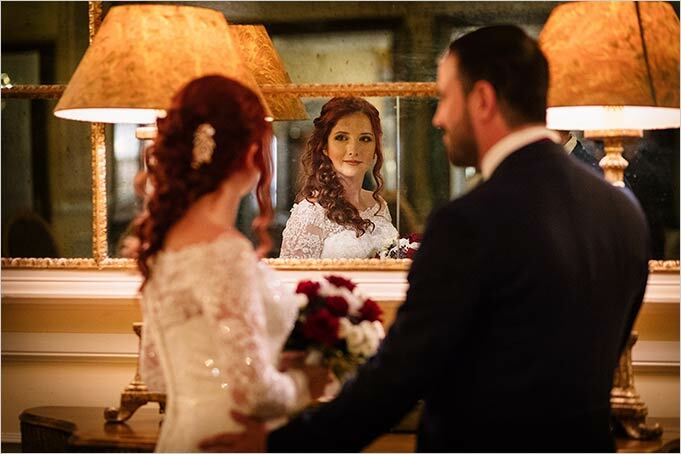 Bride and groom are both Canadians. 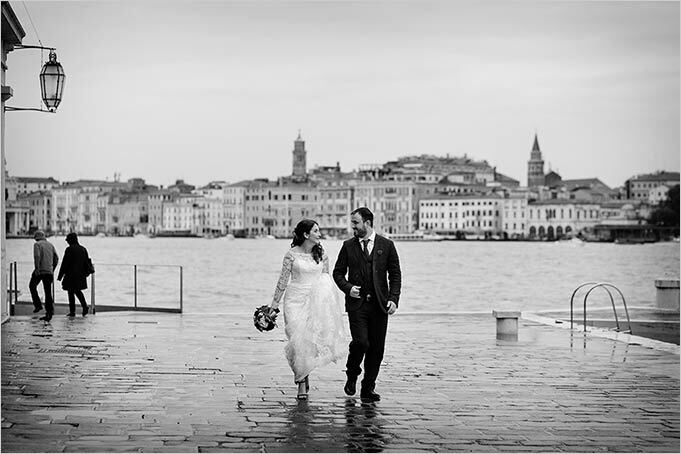 They travelled overseas to enjoy a Venetian unforgettable experience. 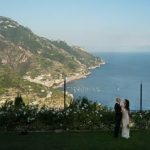 A special Franco Milani photographer for these fantastic wedding photos. 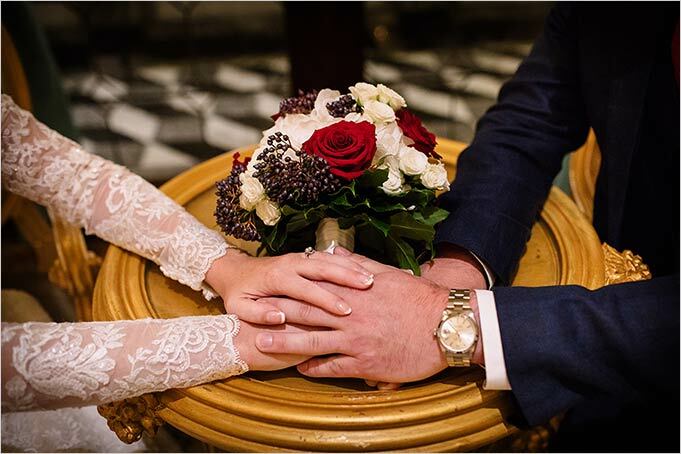 Meghan and Ryan wanted a hotel in the heart of the city. 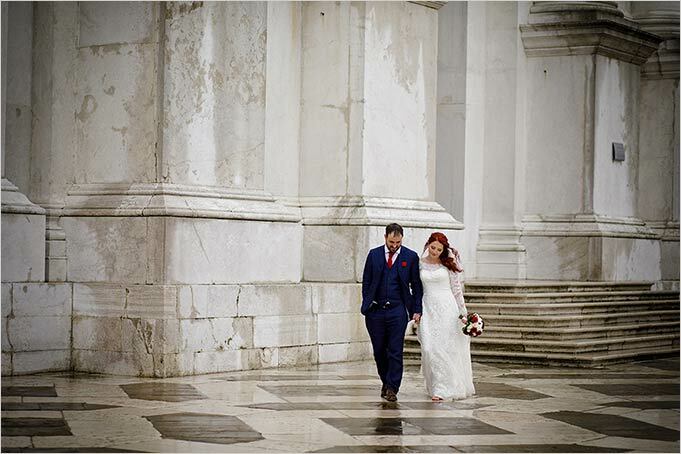 They had a room with a stunning view of famous Church of Santa Maria della Salute in Venice. 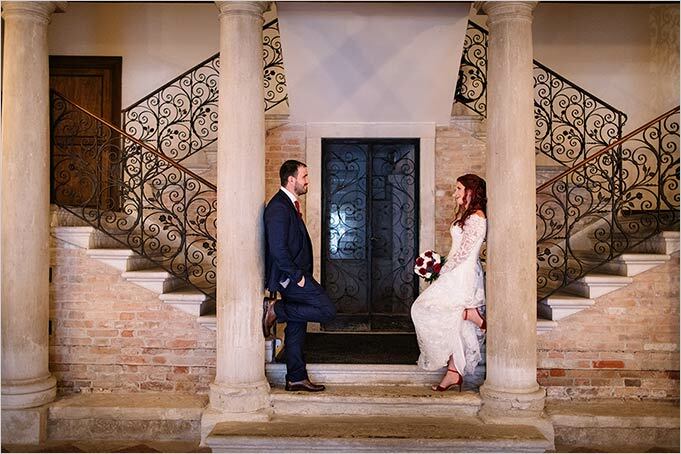 A traditional Venetian atmosphere surrounds Meghan’s preparations for her special Italian wedding. 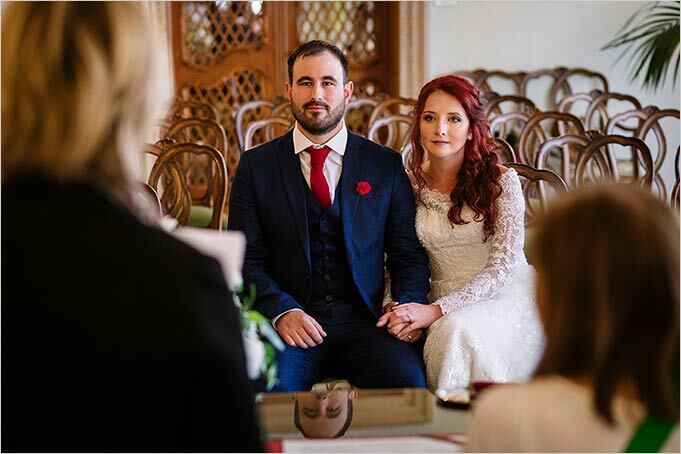 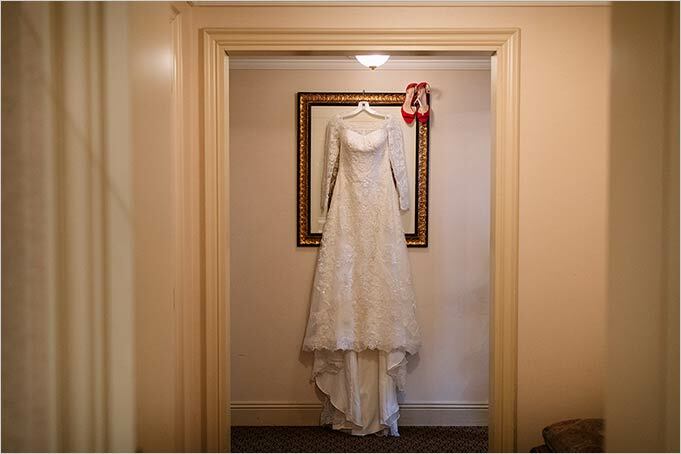 She wore a fantastic lace wedding dress with red elegant sandals perfectly matching her bridal bouquet of red and white roses. 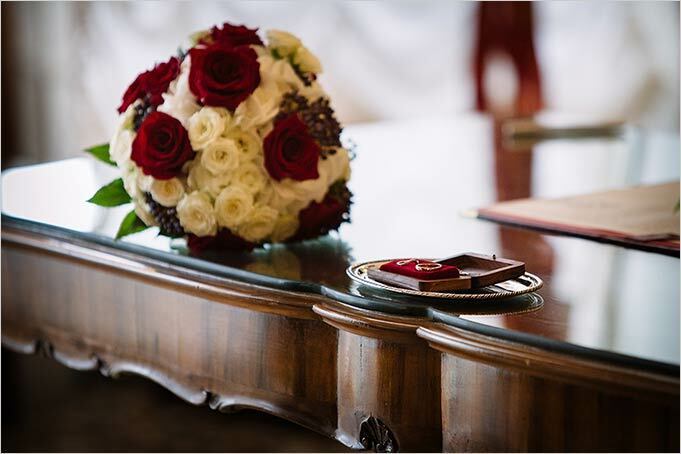 Bridal bouquet had also blue berries to go with Ryan’s suit. 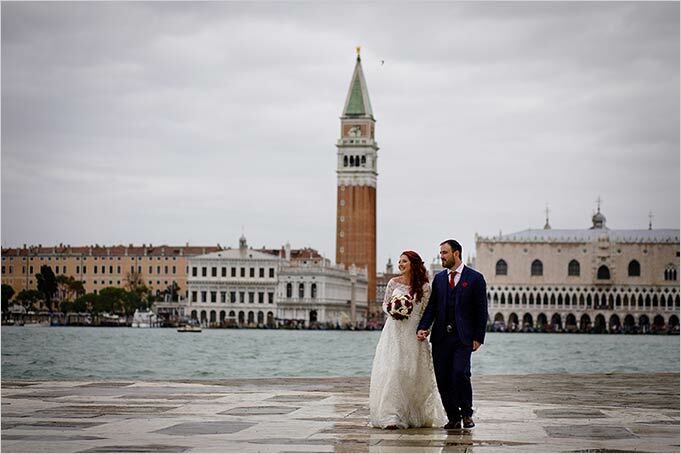 A short walk through Venetian calli gives them the opportunity to catch a glimpse of this beautiful city before getting ceremony venue: Palazzo Cavalli. 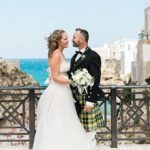 We planned Mghan and Ryan’s Wedding ceremony at Palazzo Cavalli. 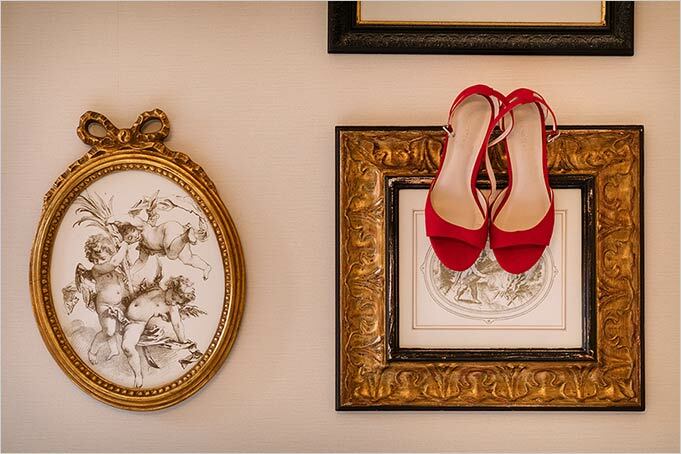 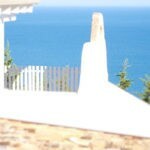 It is an ancient Venetian palace close to famous Rialto Bridge, just in the heart of the city. 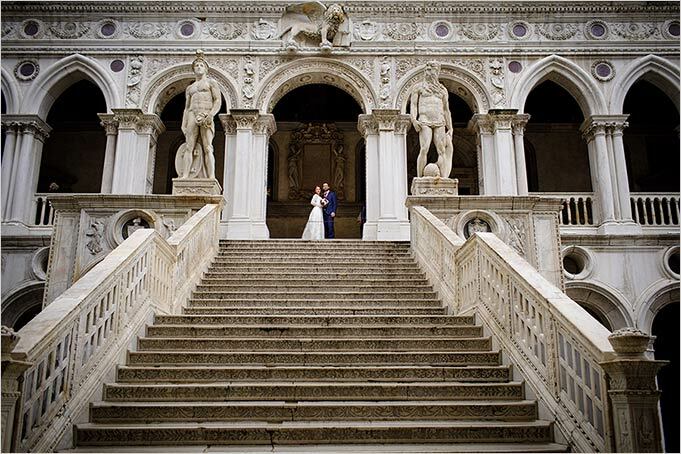 Palace sixteenth-century majestic facade is decorated by a Four-light windows (quadrifora). 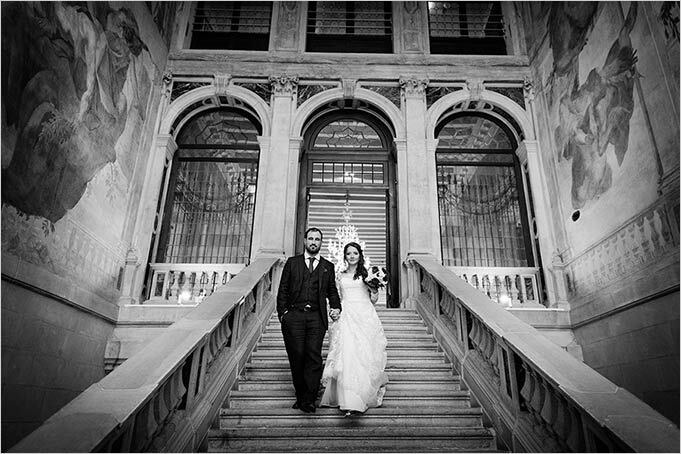 A beautifully decorated stairway leaded Megan and Ryan to the noble floor where they finally exchange their wedding vows. 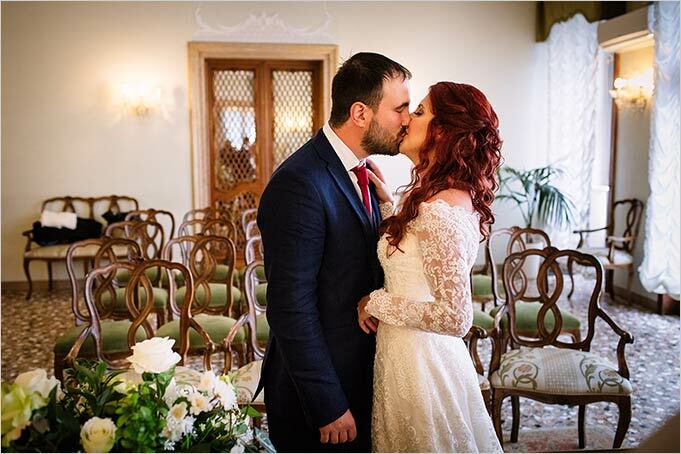 After sharing the intimacy of the ceremony, now it is time for wedding photos! 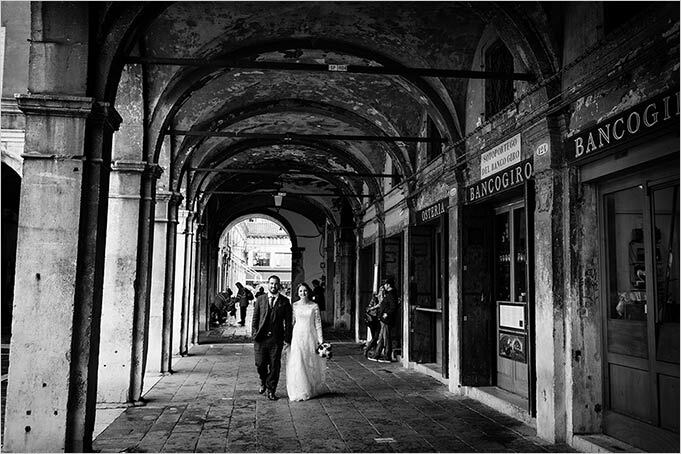 Wedding photo shooting is the most dynamic moment of the day and it’s great fu walking through calli and campielli looking for the most secret hidden corners of Venice. 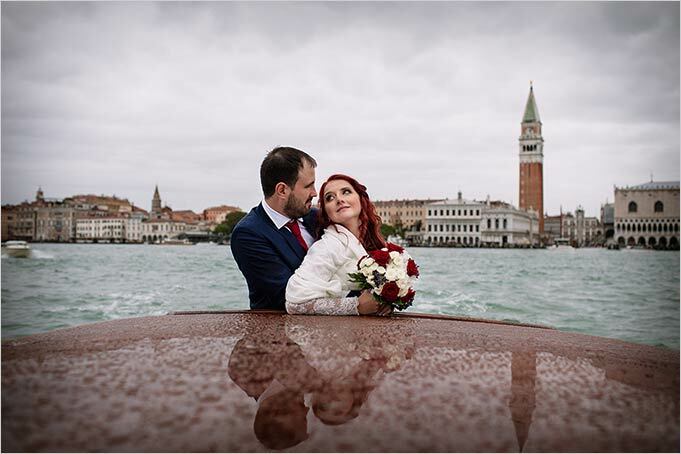 Meghan and Ryan chose to move by boat so that they could reach different spots and enjoy a real tour on Grand Canal! 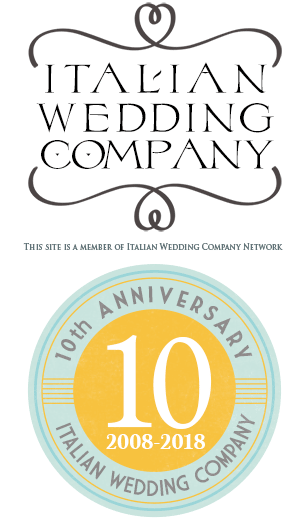 They reached San Giorgio and Piazza San Marco. 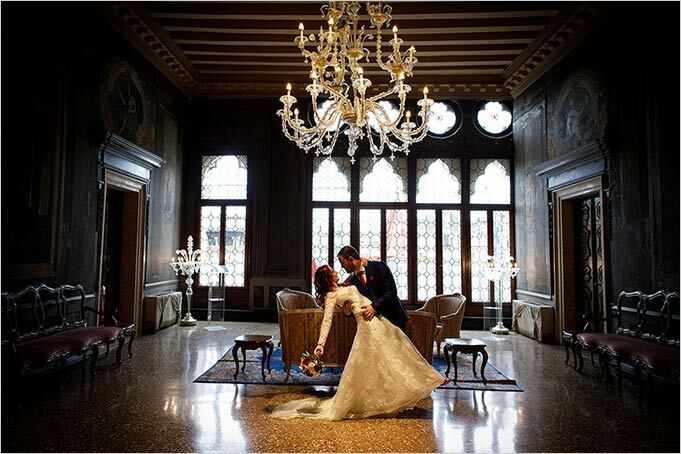 They went inside a sumptuous Venetian palace. 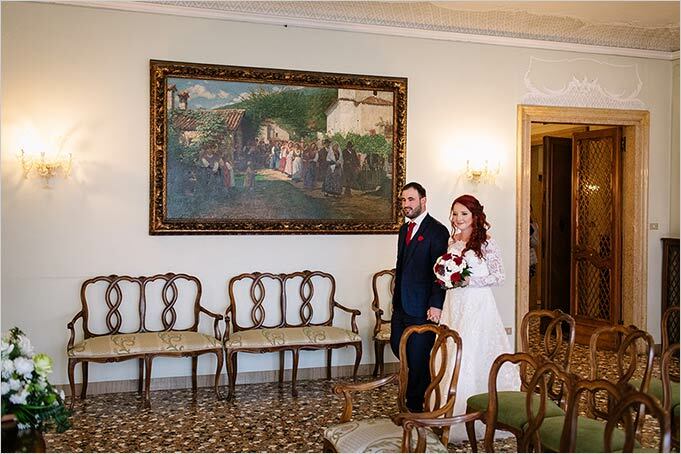 Wedding photographer captured the beauty of its noble floor with its frescoed walls and ancient Murano glass chandeliers. 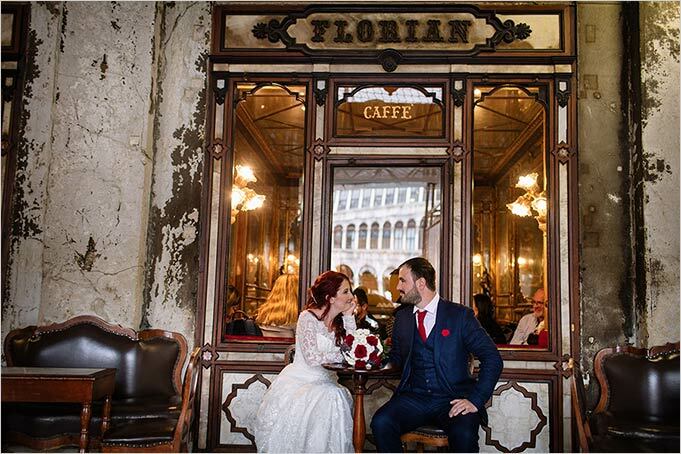 They could not miss a visit to Caffè Florian, the most famous cafe where names like lover Giacomo Casanova stopped.